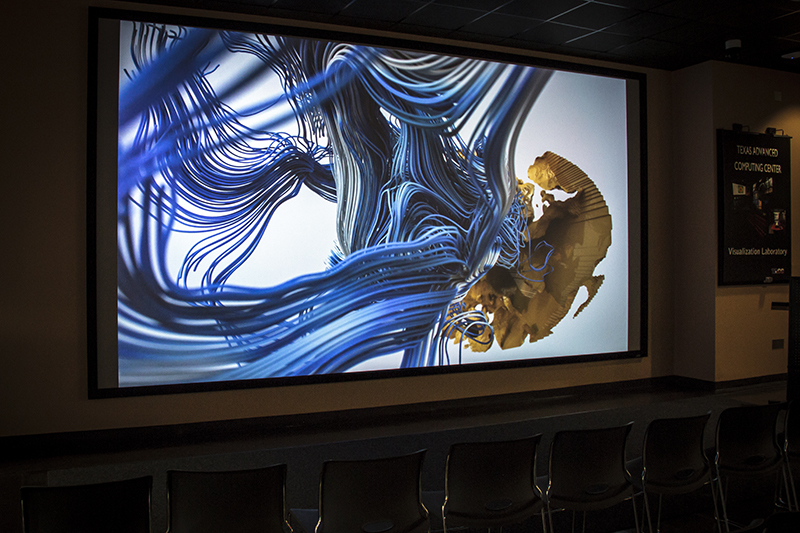 The TACC Visualization Laboratory (Vislab) is a state-of-the-art facility where staff explores the intersection between human perception and large-scale visual analysis through the study of visualization and interactive displays. 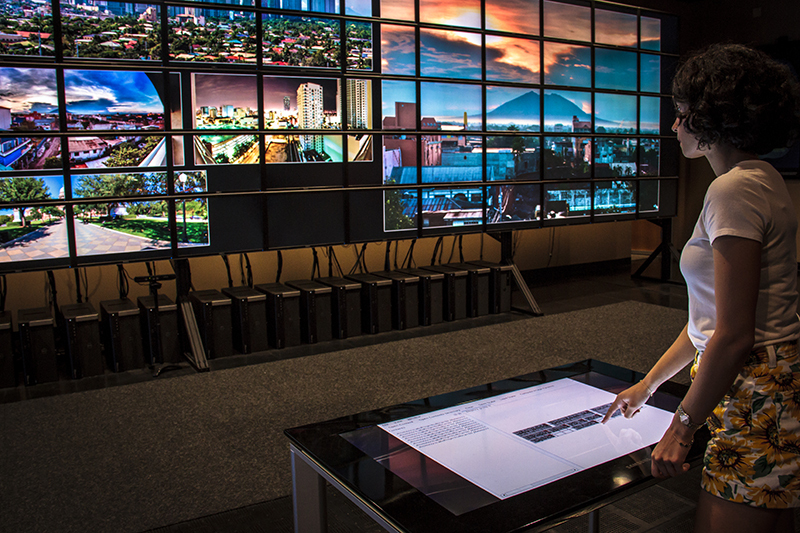 The Vislab serves as a research hub for human-computer interaction, tiled display software development, and visualization consulting. The main goal of this facility is to support the world-class research being conducted at The University of Texas at Austin. The Vislab has users from several departments at the university. For more information and to explore the how the Vislab has enabled discoveries, check out our projects page. 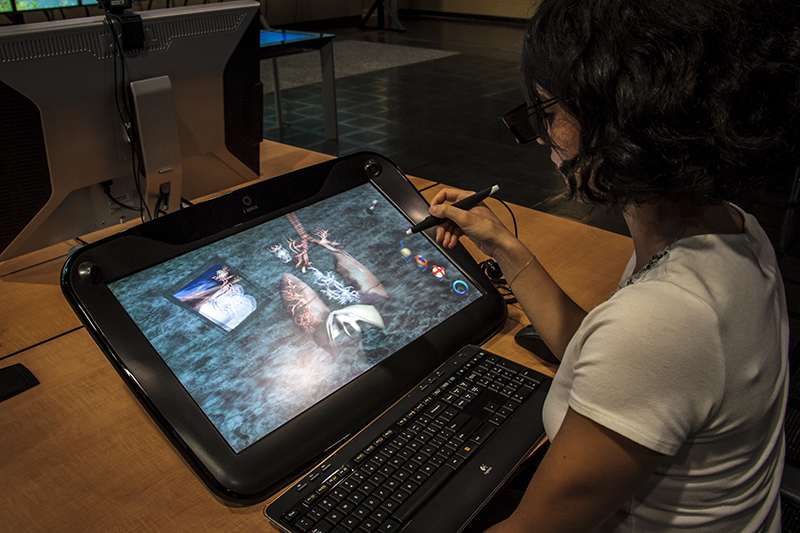 The Vislab offers opportunities to UT faculty, staff and students to use visualization, interaction and computational resources for the exploration and presentation of data. We invite you to explore the facility and envision how this interactive, high performance visualization space can transform your research and events. 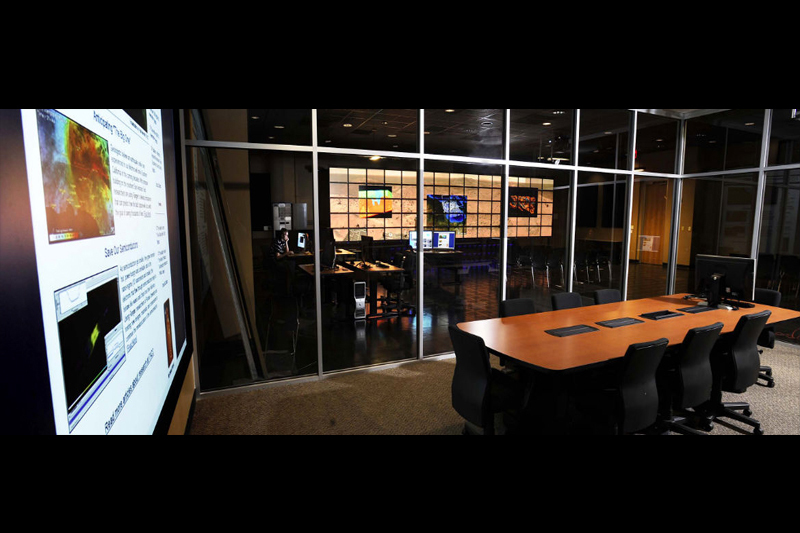 TACC's Vislab is located on the main campus in the Peter O'Donnell Building for Applied Computational Engineering and Sciences (POB), Room 2.404a. The POB is located on the Southeast corner of Speedway and 24th Street (201 East 24th Street). 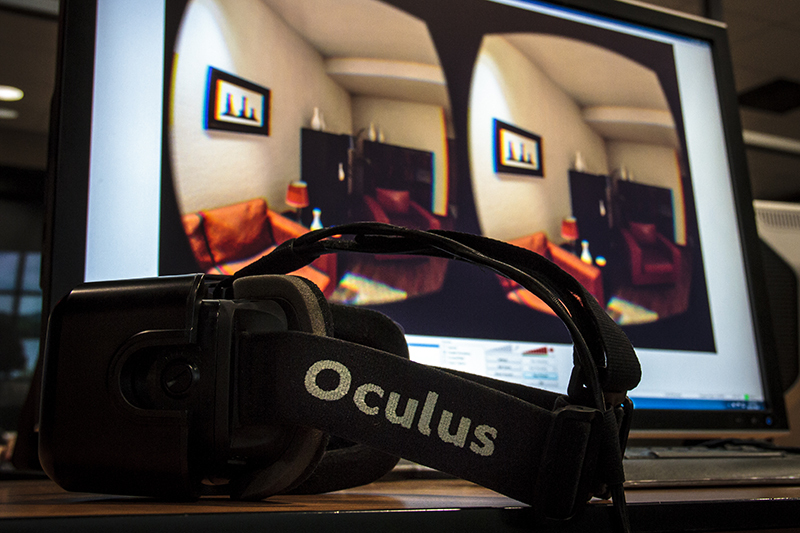 To schedule a tour of the Vislab, please visit the Tours Page.